There is no need to worry about USPS mailing requirements, we’ve got it covered. In addition to our beautiful, color printing and design, we offer you the speed and convenience of addressing, sorting and mailing your direct mail campaign all under one roof. Our mail services will ensure that your mail piece layout is designed to be USPS-friendly for the lowest postage rates available. Our powerful Data Vision service with USPS-certified mail sorting software will clean up your mailing lists with address corrections, get you up-to-date with moves, and remove duplicate entries. 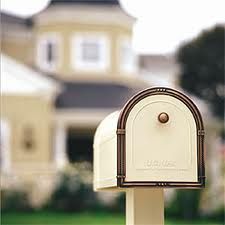 We will deliver your mail and direct mail materials to the Tucson post office, send you samples and a copy of your postage statement. Want to target a specific demographic or geographic area? We can find any mail list you're looking for with our mailing list acquisition and mailing list management services. Avoid ugly stick-on address labels – we have a wide array of font styles and digital printing options with neat barcodes for a professional finish, prompt delivery, and quick and measurable response rates for all your direct mail marketing needs.